Instagram is one of the biggest social networks for sharing photos and videos. Most popular people are already using it and being followed by millions of people. If you want to jump into Instagram and have some followers these tips will be handy. At the time of writing, users have the option of choosing between a personal profile and a business profile. In your quest to monetize Instagram, make sure you use a username that is 30 characters at most. Be original with your username, use one that corresponds with your presence in other social networks. Your biography should offer enough information within the 150-character limit. Don’t forget to add a link to your website. On Instagram, you cannot sell the way you do on other platforms. Over here, you will need add-ons that will add the e-commerce function to your account. With these types of apps, you can flaunt your style to your followers and create pages that enhance an easy shopping experience. Choose the right app and start selling. Brainstorm and come up with hashtags that are unique to your name or business. The hashtag allows you to track the activities that mention your brand. You can also use this unique hashtag on other social platforms. Your unique hashtag will help you attract new followers to your profile. On Instagram, you can use a maximum of 30 hashtags. The best way to go about using hashtags is to place five to ten under your post. You can use more, but you should be rational avoid triggering “shadow ban” or “black hat” when you use excessive hashtags. The effect of shadowban is that Instagram will not show your post in the first issue number. As a result, you cannot earn from Instagram. By entering the same hashtag that you use, you can find the account of other users and participate in discussions related to your industry. As a result, you can establish yourself as an authority and gain more followers. Take your time to create posts that are captivation, it will get you more response from your followers. Your content should engender your followers to be more active and interact with your post. The recommended length for your Instagram post title should be between 138 and 150 characters. Do not exceed the 125-character benchmark for advertising posts. These posts strategies will earn you better results. It is important to develop rules that govern your contest before publishing it on Instagram. You should specify the terms and conditions, stipulate the lifespan of the competition, the number of winners and the modalities of selecting them. To make the competition more effective, create a custom hashtag for it and create explicit photos about the contest. Finally, invite users to participate in the competition. The prize you offer to your winners can include tangible gifts as well as special offers that enables them to earn revenue from Instagram such as special affiliate programs. Videos are an effective medium to promote an Instagram profile. Instagram stories are just like Snapchat; it allows you to use different styles, fascinating texts, funny and attractive filters. Try to be original, innovative, and create fun videos. Try to be a lively and fascinating blogger; the Instagram audience likes spirited and fascinating publishers. Or you can get Instagram Views from InstaGrowing as well to power up your follower's engagement. Be consistent with your design when you create posts. Try to apply the same type of filter for all posts, let your posts have the same concept so that Instagram users can easily identify you. With this strategy, you will develop post recognition, and the brands that you collaborate with can easily identify with your content. To have an active presence, we recommend that you create posts once or twice daily. People love to get up-to-date news, satisfy their curiosity with your posts and get them to engage with your content. Search for influential and popular people in your niche with whom you can collaborate and offer them deals that are mutually beneficial. It can be a profile link exchange, posts swap, affiliate promotion, or a one-off profile promotion deal. Promotion from other influential users is one of the best ways to gain recognition and more followers on Instagram. Take advantage of the location function on your posts and use the appropriate hashtags. This strategy allows other Instagram users to find your posts faster. Maintain the same style such as filter, text design and personalized features for your Instagram account. Endeavor to create a unique style for each profile if you have many accounts. Do not muddle up your styles. Take the time to create interesting posts that can catch the attention of your audience. Share your experience and encourage them to engage with your posts. Offer valuable information and advice that appeals to your audience and use positive emotions. You can increase the number of your followers significantly when you advertise your profile on Instagram. Users who are interested in your niche are the ones that see your advertised post Therefore your promotional effort channels towards a target audience. 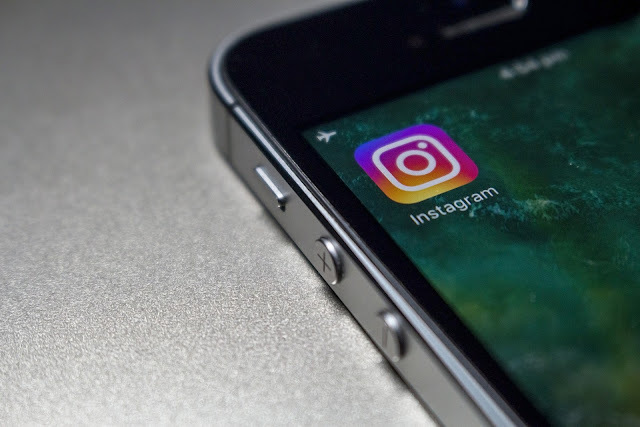 We recommend that you interact with as many Instagram users as you can whether they are following your account or not. An effective means of reaching out to a new audience is to do a Shoutout or S4S with another account having about the same number of followers. This method is a popular strategy that Instagram users utilize to increase the followership of their account. Buying Instagram followers is being touted all over the Internet. You can truly get some decent numbers of followers for a low price. However, most of the followers that you purchase usually are fake or bot profiles and will remain inactive. Of course, people will see something wrong you have 20k followers but hardly any engagement with your posts. The numbers are not always significant but for good start – why not?